So Valentine’s Day is in 3 days, who’s excited? I am honestly really excited about this year’s Valentine’s, not because of any fanciful dinners or presents, but of the fact that I can spend really quality time with my dearest one (he’s always so busy with school). With 14th of Feb approaching, I have been fretting over what makeup to wear on the day itself and have experimented with 2 looks (with tutorials) that I will be posting soon! 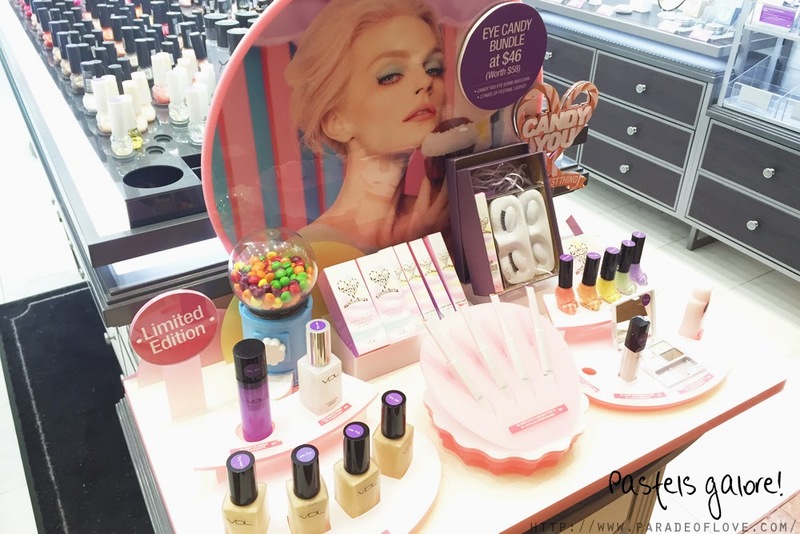 CANDY YOU is a limited edition collection that includes 5 of VDL’s best-selling and innovative products including the World-wide Best Seller, the Lumilayer Primer! Some of these products come with a limited edition baby pink packaging too! Elaine was my makeup artist for the session and she was rather thorough in terms of going through the steps from cleansing to skincare then to base, face makeup, eye and lip makeup. I really liked that she explained the properties of each product! 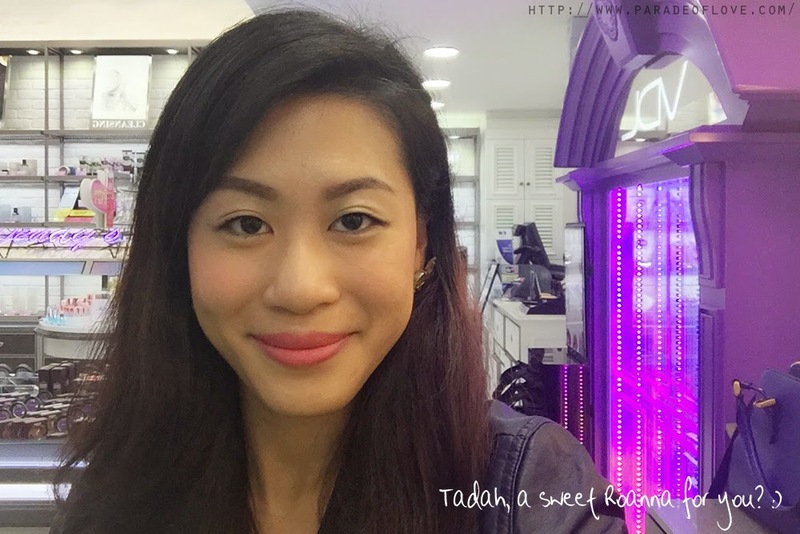 Her product knowledge was A+ because she could answer any questions I had for the products. These are all the products she used on me. 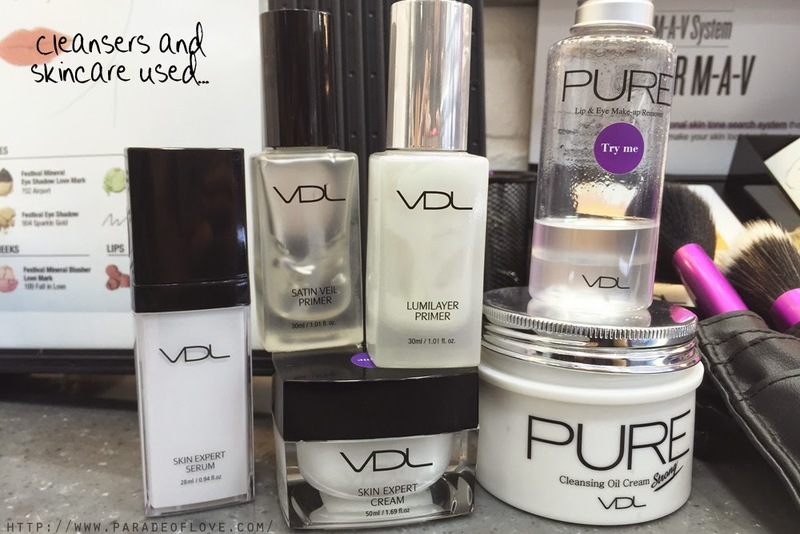 I honestly had no clue about the skincare that VDL carries! 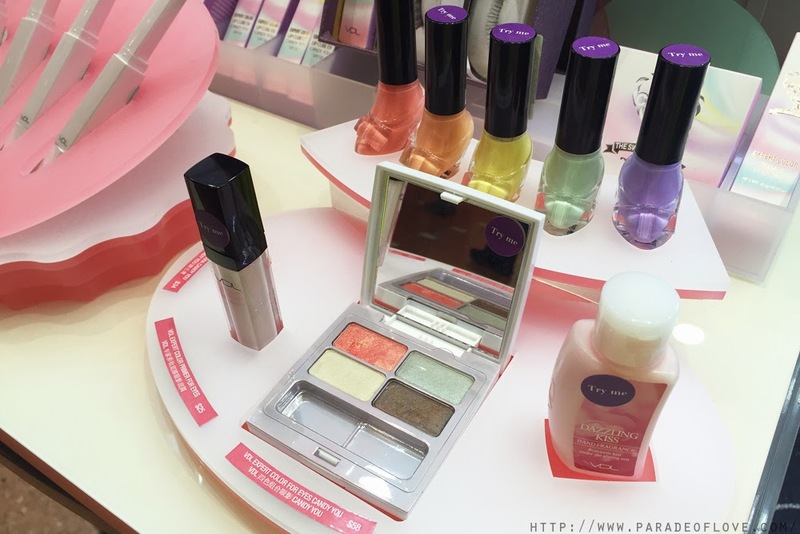 I’ve always thought that the brand only carries makeup and cosmetic products, but look at this range here! They don’t really have an extensive range so the skincare products serve to cater to all skin types. 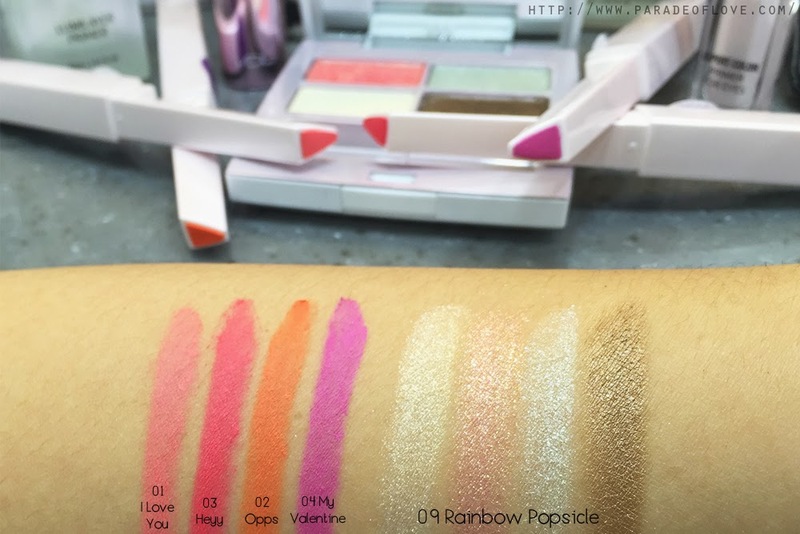 Expert Color Lip Cube EX in 4 shades that can be used as blushers too! 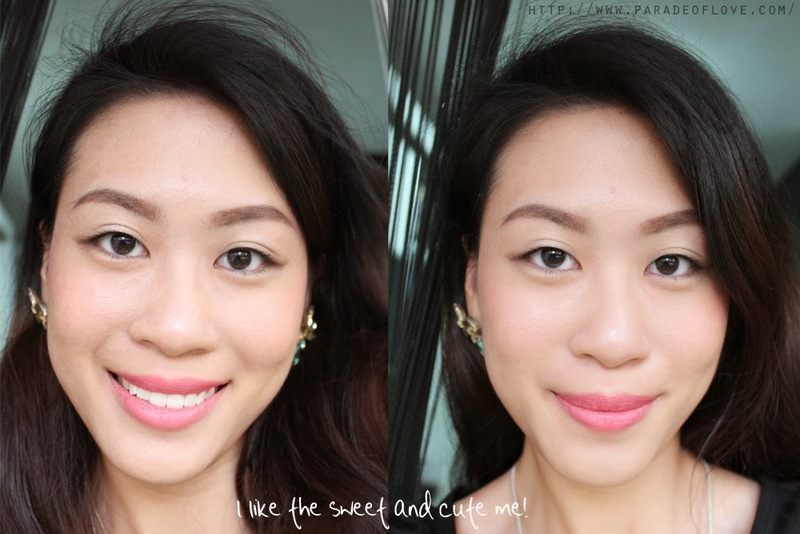 A special mention to the Lumilayer Primer because it works so well on my skin! It contains a Violet Lightflects™ Technology which evens out the skin tone, creating a clear and radiant complexion. I am totally sold with this highly-raved primer! This is another product that you really have to try out yourself to see the effects. My absolute pick from this collection? The Lip Cubes EX! With 4 playful shades in soft-matte textures, these lip products can be blended out on your cheeks to be a blusher! 2 uses in 1, how convenient right? Notice the triangular shape that each of these come in? The Lip Cube EX has a slanted edge forming a 30 degrees angle to allow for easy application. Swatches next! All the swatches are all 1-swipe! I am not too inclined towards the eyeshadows because of the abundant amount of shimmers in them. They tend to have a little fall out as well as Elaine had to dust them off after every shade application. However, I really do love the lippies. 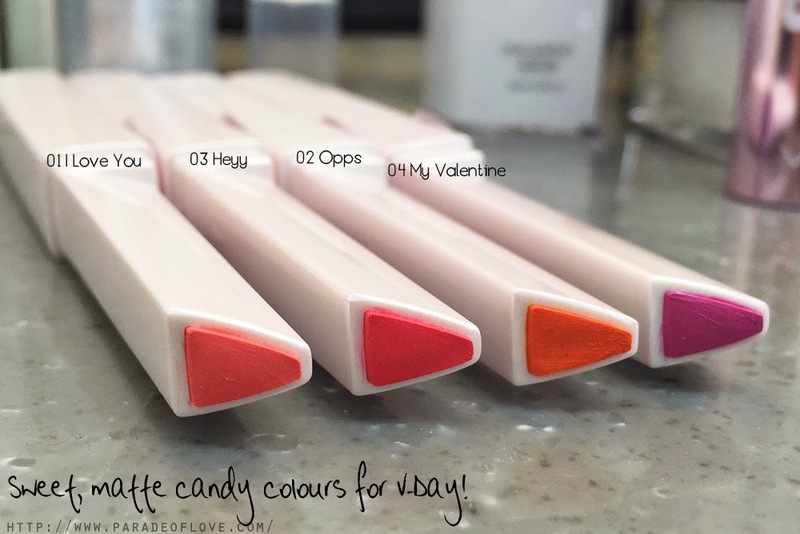 Even though they are matte, they aren’t drying and stay pretty well even after eating too! This is my final Spring Princess look! I have 01 I Love You on my cheeks and 03 Heyy on my lips! The eyeshadows are really too faint to differentiate their colours but basically every shade was used except the orange-shimmer one. I requested a shot with Elaine because her skin is seriously flawless and fair! Because of the lighting at the store, I couldn’t really capture close ups of my eye makeup, hence I rushed home to capture high resolution shots of the makeup look with my DSLR. 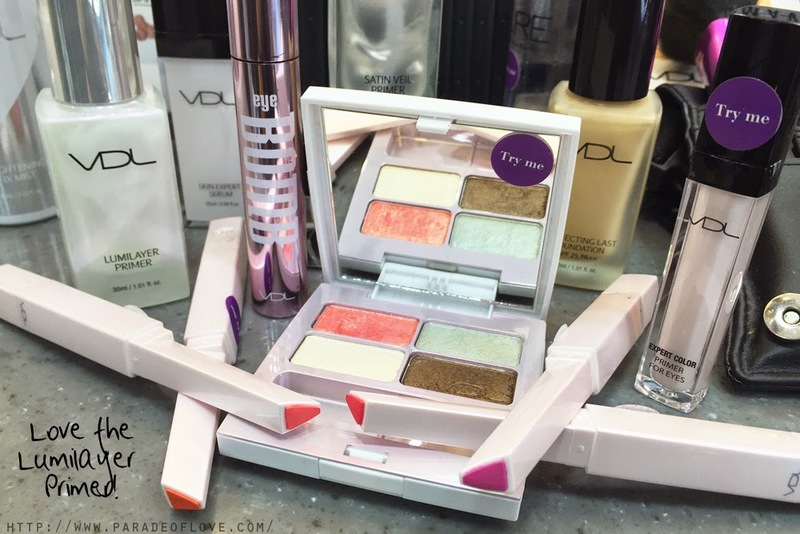 Will you be checking out the VDL CANDY YOU collection? 😉 The Lumilayer Primer is now on my to-buy list! Not to mention, my brows were so on-point! Thank you VDL Singapore for the kind invitation! 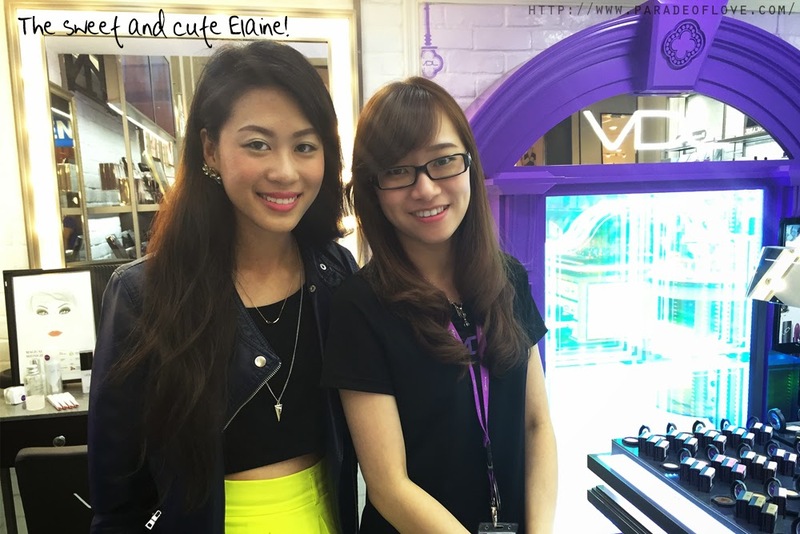 Disclaimer: Makeover session was invited by the team from VDL Singapore. The above review is based on my true and honest opinion without influence from others. It also contains information from the brand itself.